Read what our Post and Auxiliary has accomplished!!! Local Veterans buried in the Tooele City Cemetary will now have their Veterans Status in the Tooele City Cemetary Look Up. 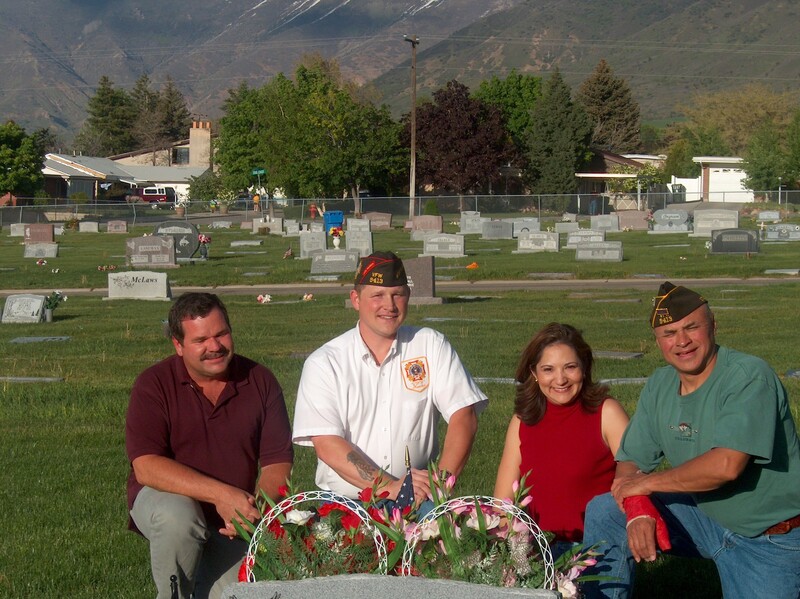 Thanks to a few dedicated VFW and Auxiliary Members with help from Tooele City. The project managers were Dept Auxiliary Jr Vice Bernadette Wolfe, Dept Senior Vice George Hall, Post Commander 2003-2004 Michael Parks and Tooele City employee Ron Corey. The Ladies Auxiliary collected 134 Campbells Soup labels for the National Home. Charonda Edwards chaired the label collecting. The labels will be used to purchase a van. The goal was to collect over one million lables from VFW Auxiliaries nationwide. GREAT JOB CHARONDA !! !